If you have an android phone or tablet you must thinking to copy or transfer some music, books, games or photo from your mobile storage to pc hardrive.Then you can easily transfer or copy your data by data cable in some minutes, but some time if you don’t have a data cable to carry the data between Pc and Phone then what will we do. Don’t worry we have a simple solution for it to transfer data without data cable in some minutes.. 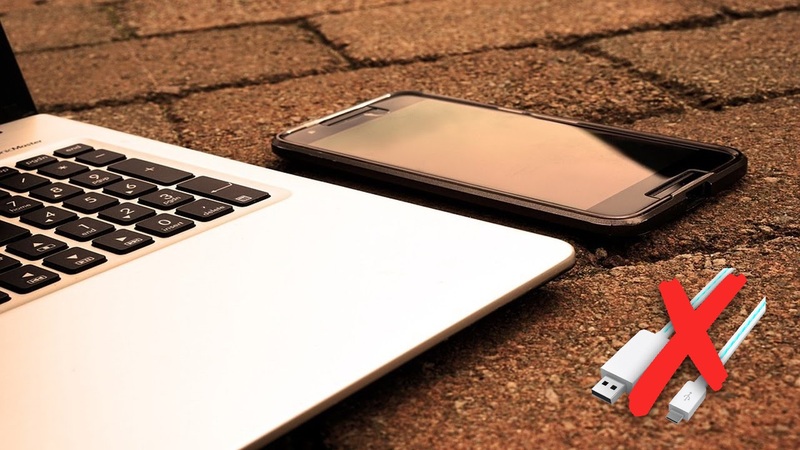 Your mobile should be connected to same WiFi network on which the Pc is connected and you want to transfer data between them. 1. First you will simply have to open Google Play store On your Android Phone/Tablet. 2. 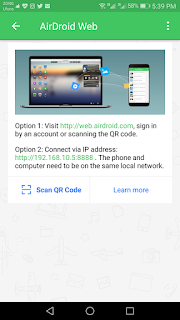 Now you have to just type Air droid in the search section of google play store, and play store will search the app Air droid for you. 3. Now you have to download the app on your android phone and wait for the installation of the app on your phone. 4. 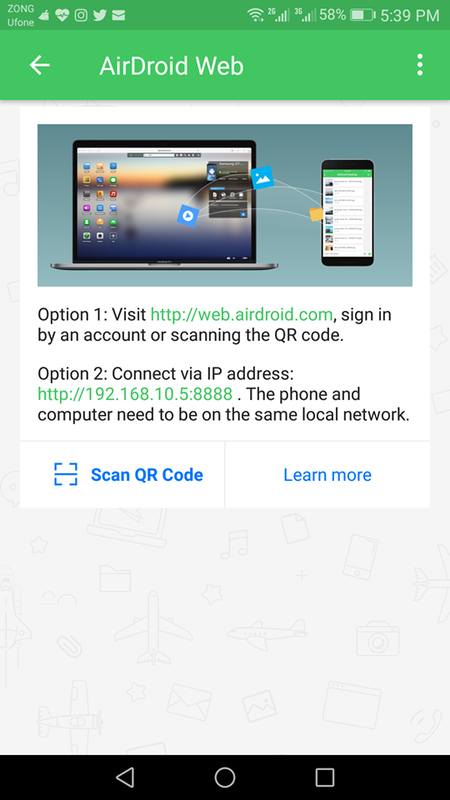 After installation you just open the app on the phone and click on AirDroid Web. IP address shown in Option 2 at the address bar of Pc . 7. Now just click on Accept. 9. Now just drag or drop the file inside the Airdroid web page and it will transfer .. If you have any kind of question you can ask in the comment section .